I wonder who can help me if this doesn’t work. I wonder what’ll happen when this works. I’m the one that people come to when it doesn’t work. I’ve seen this work a million times, so I know exactly what’ll happen when it does work. 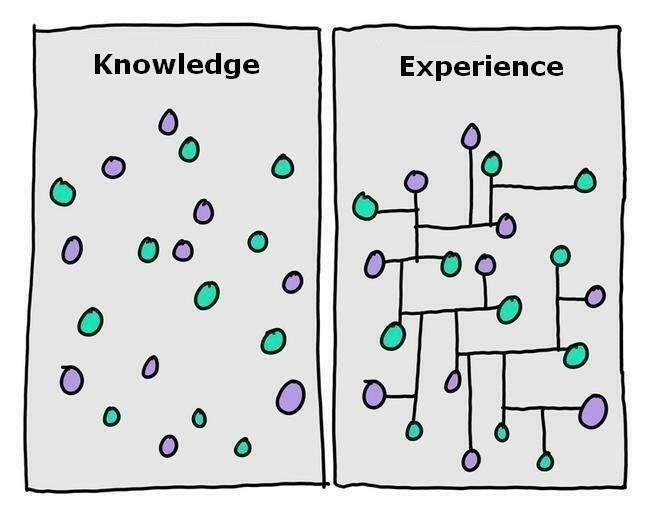 Expertise means knowing. Knowing usually repels wonder. I wonder if there’s a better way to make this work. I wonder if I can eliminate this entire step and get the same result another way. I wonder who I can help learn more about how this works. I wonder how my customer views the way this works. The expert who keeps their wonder is willing to search for new ways, new answers, and even new questions, in a quest for continuous improvement. That same expert might even wonder (pun intended) if their expertise can solve an entirely new set of problems. True innovation is almost always impossible without its main ingredient: wonder. This entry was posted in Curiosity, Innovation, Learning, Writing and tagged Beginner's Mind, Wonder on October 21, 2015 by Bob Dailey. Old docks capture my imagination. There’s a quiet intensity about them. A history we can feel more than see. They offer a lasting invitation to explore. To cast-off, set sail, and see what’s over the horizon. Will you accept that invitation? How far will your explorations take you? Which way will you go? What if you can’t see the other side? Should you cast-off anyway? We answer (or avoid) these questions every day. 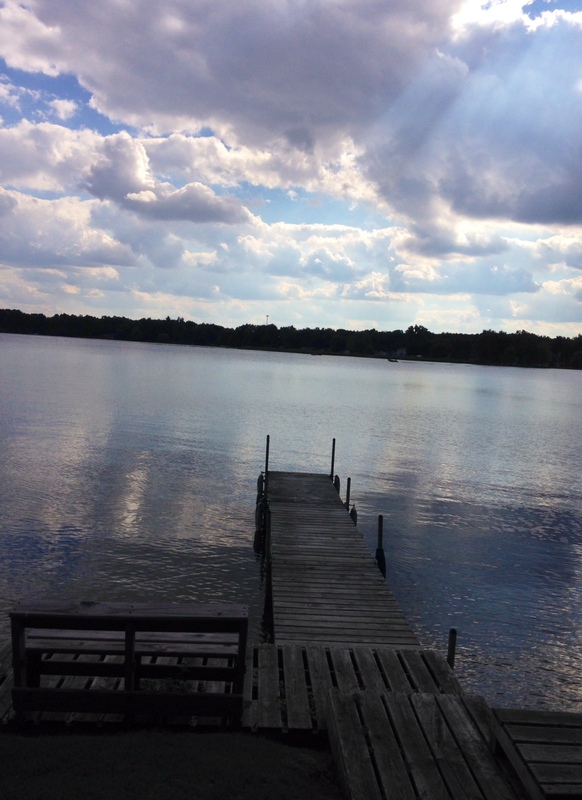 Is it best to merely stand on the dock and look out at the horizon, wondering what’s just out of sight? Or, better yet, wait for someone to return and describe what’s out there? No way! Every explorer (and innovator) in history chose to leave the safety of the dock. They couldn’t see the other side. In fact, they chose to leave the dock precisely because they needed to see over the next horizon, and the one after that. They knew what we each know, whether we choose to admit it or not. The answers to life’s biggest questions come to those who seek. You don’t have to be Galileo, Christopher Columbus or Marco Polo to be an explorer. We are each explorers. All we have to do is accept the invitation. This entry was posted in Courage, Curiosity, Innovation, Leadership, Success, Writing and tagged Columbus, Explorers, Galileo, Hillsdale, invitation, Marco Polo, New Horizons, quiet intensity on October 3, 2014 by Bob Dailey. How many people do you know who go through life unfazed? Nothing gets under their skin. Nothing angers them. They don’t cry…ever. They chuckle, but rarely laugh. They can’t be bothered with a new or revolutionary idea. Composure is their primary goal, above all else. There’s a degree of power that comes from being unfazed. The unfazed person appears to be in control of the situation…almost above what’s happening. Being unfazed is appropriate, even ideal, in many situations. But, the opposite is also true. Consider the fun that can come from real laughter, especially when it’s shared. The emotional cleansing of a good cry, from joy or sadness. That anger and disappointment we feel when we lose can be channeled into breakthrough improvements that help us win next time. What about being knocked over by the genius of a new idea, or the next big thing (whatever that is)? I recently saw part of a commercial showing a guy talking about a potential investment with his friend saying, “That’s nice, but what can anyone do with only 140 characters?” I don’t remember what the commercial was selling, but we all know now what can be done with only 140 characters. As I think about the people who inspire me the most, and famous disrupters throughout history, they’re the ones who allowed themselves to be fazed. The great ones channel their fazed-ness into a passionate pursuit of excellence and innovation, helping each of us to do the same things in our own lives…if only we allow ourselves to be fazed. This entry was posted in Appreciation, Attention, Awesomeness, Courage, Excellence, Innovation and tagged Fazed, Passion, revolutionary idea, Unfazed on June 26, 2014 by Bob Dailey. TED started in 1984 as a conference to bring together people from three worlds: Technology, Entertainment, and Design. TED talks are limited to no more than eighteen minutes in length, and cover a wide array of topics, all focused on “ideas worth spreading.” More than 1,400 talks are available for viewing on-line. Stephanie Decker is the quintessential survivor. In March, 2012, a tornado ripped through her home in Henryville, Indiana. She shielded her two young children with her body. The house collapsed and disintegrated around them, crushing Stephanie’s legs. Her kids survived without a scratch. She told us that mental toughness is the key differentiator in life. Each of us will face storms or struggles in our lives. We choose how we handle the storms. Staying positive is a choice. Although she lost her legs in the storm, she found her purpose. Her purpose wasn’t just learning how to walk again. That was just a first step (no pun intended). She and her husband formed the Stephanie Decker Foundation to help children with prosthetics get the best technology available to live the fullest lives possible. Brian Kessler, founder and president of Maui Toys, talked about curiosity and the spirit of innovation. His father, Milton Kessler, invented the hula hoop. Brian has designed and developed more than 2,600 toys, sporting goods, and consumer products. He defined innovation as a process that has three main parts: creation, application, and execution. Creation is seeing what someone needs or wants, application is defining who will actually want this innovation, and execution is setting about to make it happen. Easy? Hardly. He described the series of small steps and adjustments he made to toy ideas before having the product that people would actually want to buy. He also showed some examples of “new” toys that are merely extensions of other toys. Innovation can be evolutionary, as well as revolutionary. Laura Glynn, associate professor of Psychology at Chapman University, talked about the maternal brain. Professor Glynn said that 90% of all women worldwide will give birth to at least one child in their lifetime (amazing statistic). She told us about the fundamental physiological changes a woman’s brain goes through during pregnancy. Mother’s brains grow and change during pregnancy, and the effects are cumulative as they have additional children. Mother’s brains have an enhanced ability to identify threats and deal with stressful situations (ideal for new parents!). The old saying about not coming between a mother bear and her cubs seems to be the result of physiological changes in the maternal brain. Scientific research in this area is relatively new. People like Professor Glynn are uncovering new and amazing insights into the miracle of life, and how mom’s brains uniquely adapt to take on the challenges of parenting. Trent Schlom, a twenty-one year old sports reporter and broadcaster for ESPN talked about how he turned his love of sports into a career. He always dreamed of talking about sports, and starting at fifteen, he took steps to make that dream a reality. His secrets? He creates his own opportunities, is always prepared, and keeps showing up. He focuses on learning and views himself as the eternal student. His concluding advice: Don’t just dream. Take the next step to actually get closer to your dream, and keep taking those steps. Trent’s energy and positive attitude are infectious, and may be the biggest secret of all. Ten Things I Should Have Learned by Now. She writes poetry to work things out, and in the process, challenges each of us to do the same thing as we listen. Iryna Krechkovsky, a prize-winning violinist, played a selection written by Bach on her Stradivarius. In her introduction to the song, she talked about how technology has given us so many ways to communicate with each other, and yet, we are emotionally removed from each other. Classical music is relevant in today’s society, because music is human. It expresses human emotion in ways we can’t explain, and in ways our technology can’t replicate. Your talent is a given. Your resume and skills are what get you to the audition (or interview, meeting, or speech). What happens next is all about YOU. Your authenticity will trump your skill set and have more to do with your success than anything else. Jillian Lauren, a New York Times bestselling author, talked about the experience she and her husband are living after adopting their son from Ethiopia. She, too, was adopted. What lessons does she take from her own adoption, and her son’s? Love is a decision, and a gift. When her son first arrived, he was suffering from post-traumatic stress syndrome. He had uncontrollable temper tantrums, night terrors, and a number of other symptoms that took years to work through. Jillian told her son stories as they walked around the city when he first arrived. As he grew, he came to embrace his journey here as a great adventure. He is subconsciously creating an identity for himself that is part Ethiopian, part Jewish, part Scottish, part American. We all form ourselves, based on our imagination, and the stories we tell about ourselves, regardless of where we came from. Frank Smith, COO of Anschutz Film Group and Walden Media, discussed change. Change is continuous, no matter what industry (his happens to be film production). He related the history of the studio system in Hollywood, and how the near-monopoly of the five large studios began to break apart after World War II with the advent of television, and other changes. Companies that reacted quickly to the new reality thrived, while those who refused to embrace the changes went in the opposite direction. Change is hard, and sometimes difficult to see at first. Change should be seen as a constant, and can’t be ignored. The ash heap of history is littered with organizations that failed to respond to disruptions and changes in their industry (ironically, some of these got their start by disrupting someone else’s business): Border’s Books, Blockbuster Video, Tower Records, Circuit City, A&P, Washington Mutual Bank, MySpace, and Sears (well, not quite). Stacey Schuerman, a yoga instructor, took the entire audience through a five-minute exercise to slow down, and focus on our breathing. She called it a chance to reset, renew, and rejuvenate our energy levels. An opportunity to feel the peace and calmness of the present. She recommended that we take at least five minutes every day to recharge. I plan to replay her presentation video at least once a day for my own on-demand recharge session. Adam Spencer, mathematician and Australian radio host, discussed his passion for finding massive prime numbers. Numbers and math are the musical notes of the universe. His excitement for the pursuit of these elusive numbers is overwhelming. He marvels at how lucky we are to live in an age when mind and machines can work together to expand the frontiers of our knowledge. How amazing is it that a scientist can theorize about something as fundamental and “unprovable” as the Higgs boson in 1964, and then have a machine demonstrate its existence only fifty years later? Robin Follman is an internationally acclaimed opera singer. She is also the head of strategic planning at her family’s manufacturing company. Even though she didn’t get the lead in her high school play, she did get the lead in a professional opera company while she was still in high school. She credits her success to preparation, perseverance, resiliency, and some luck. Also, rejecting her choir teacher’s advice to “blend.” She wanted her voice to be heard, and she was always ready when a new opportunity presented itself. Eyal Aronoff is a co-founder of Quest Software, which was sold to Dell for $2.4 billion in 2012. Eyal’s passion now is breaking our addiction to oil as an energy source. He says that while wind and solar are nice, they aren’t a workable large-scale alternative to liquid gasoline for the cars we drive. Public transportation is only viable in certain urban centers. He showed that taxation and other financial incentives or punishments aren’t effective in changing our energy habits. He wants to show how alcohol-based liquid fuels are the best replacement fuel for liquid gasoline. Alcohol-based fuels can be derived from corn, sugar, biomass, and natural gas, to name just a few. Will it work? Are we capable of making this type of switch? Only time will tell. Clearly this idea of breaking our addiction to oil is one worth spreading. Alison Noel is a New York Times bestselling author of 21 novels, with over seven-million copies in print. She talked about labels…those that others place on us and those we place on ourselves. We all have a yearning to be seen, heard, and understood. The question is how will we be seen, how will we be heard, and will we be understood for what we really are? Our labels often get in the way of understanding. She told us how her childhood was impacted by labels, some accurate, but most inaccurate. Labels don’t always fit, but they usually stick…if we allow them. Dileep Rao is an actor who asked the question, “Do Movies Matter Anymore?” Some could easily argue that in a world of multitasking, and fragmented attention spans, movies are becoming a relic of the past. Rao argues the exact opposite. He sees the movie theater as the metaphoric dark cave where images and shadows from the campfire mesmerize us. Movie theaters are an almost sacred place where we are immersed in a story (if we allow it), with a bunch of strangers. For that short period of time, we are single-tasking, singularly-focused, and in the present (sounds a little bit like yoga). Why spend five hours at a TEDx event? It’s all about ideas, and stories. Ideas worth spreading, and the way these ideas impact the stories we tell ourselves. This entry was posted in Awesomeness, Curiosity, Ideas, Innovation, Listening, Present, Sharing, TED and tagged Chapman, Ideas Worth Spreading, TEDx on June 20, 2014 by Bob Dailey. I get seasick easily, especially on sailboats (and fighter jets). I’ve been on a few sailing trips. They all had one thing in common. 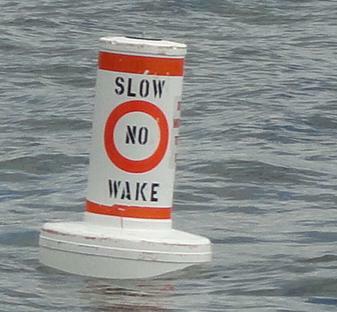 Once we’re outside the no wake zone, my nausea starts. Things go downhill from there until my head is buried under a towel and I try to sleep until we get to dry land. Needless to say, I avoid sailing trips. I don’t have a problem on cruise ships, except in rough seas. Cruise ships are engineered to deliver a smooth ride for their passengers. Most swells go unnoticed. Passengers wake up in a new port almost every day, and the food and entertainment are usually spectacular. Harbor cruises work for me. I can handle cruising around inside the no wake zone, looking at all of the boats in their slips, the nice homes on the shoreline, and passing other boats as they make their way out to sea. Christmas time, with all the lights and decorations is the best. It’s relaxing and safe. There are no swells to cause nausea and seasickness. Every sailor knows the opportunity for new discovery lies beyond the no wake zone. True adventure happens out past the buoys, past the breakwater, and out in the wind and waves. Riding around in the harbor, or lazily enjoying a multi-course dinner on a cruise ship are fun and sometimes exotic. But, neither compare to the adventure of plying the seas in a forty-foot sailboat, with your hand on the tiller. What about the risks? Staying on shore has risks. Cruise ships certainly carry risk (and sometimes, viruses). We may take comfort that others are managing our risks for us, but nothing is risk free. Storms and rough seas will hit, no matter who drives the boat. Understanding the risks, planning and preparing for them, and facing our challenges head-on is the only consistent winning strategy…at sea, and in life. What about seasickness? I remember talking with a sailor in Tahiti. We had flown in for a vacation, and met my mother-, and father-in-law, who were sailing their boat across the South Pacific. The sailor was a friend of theirs. I mentioned my problem with seasickness, and how it would prevent me from making such a voyage. This entry was posted in Awesomeness, Change, Courage, Happiness, Innovation, Status Quo and tagged Adventure, Change, Courage, cruise ships, Innovation, no wake zone, Seasickness on January 27, 2014 by Bob Dailey. Are You Asking Strategic Questions? It’s strategic planning season. Companies of all shapes and sizes are dusting off their strategic plans from last year, looking into their crystal balls and determining what they’re going to do next year. How can we extend our products or services within our marketplace? What will it take for us to keep up (catch up) with our competition? How can we squeeze an extra point of profitability from our existing revenue streams? Can we raise our prices a few percentage points without losing too many customers? Do we need this many people? If the previous paragraph sounds familiar, your organization isn’t doing strategic planning. Strategic planning isn’t just an annual event. Strategic questions don’t come from a defensive posture. They shouldn’t be about tweaking at the margin. Strategic questions definitely shouldn’t focus on ways to play “catch up.” These questions may be important, but they aren’t strategic. They’re tactical. 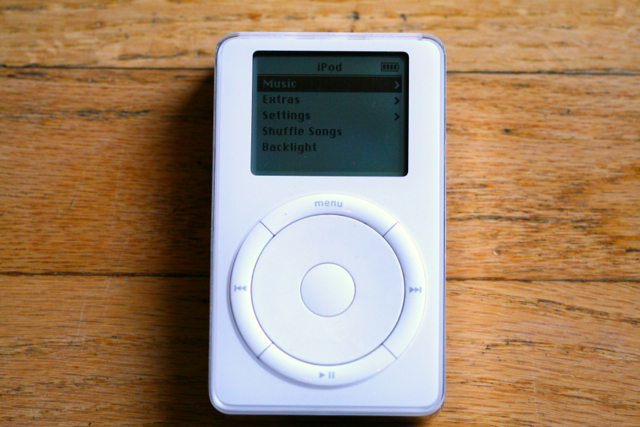 If your company stopped delivering its products and services, who would miss it? What do your customers, or prospective customers, really want? What are they trying to accomplish? Your organization’s value comes from helping customers hit their strategic targets. Otherwise, you’re merely a commodity, a convenience to be discarded whenever possible. Many organizations fool themselves into believing they do strategic planning. Sadly, they’re only going through the motions, “challenging themselves” to answer the easy, tactical questions…year after year. That is, until their customers find another way to meet their strategic goals. This entry was posted in Courage, Customer Experience, Customers, Innovation, Strategic Planning and tagged Strategic Planning, strategic plans on November 12, 2013 by Bob Dailey. What the Flock is Going on Here!?!? Lots of animals live and move in groups. Cows, sheep, wildebeest, mackerel, geese, humans…just to name some examples. We’ve come up with lots of names for these groupings: herd, flock, school, gaggle, gang, company, industry trade group, union, political party. Each of these groupings have one primary purpose: defense. There is safety in numbers, or so the saying goes. Groups moving in unison appear larger to predators. Their coordinated movements confuse and intimidate those who would otherwise do harm to the individuals in the group. When predators attack, they pick the weakest and most vulnerable in the group to attack first. That’s okay with the group, since protection of the group as a whole is paramount. Any particular individual is less important than the survival of the entire group. Predators often travel alone. Eagles, bears, cheetahs, sharks, jaguars, Tesla…all loners. Sure, some predators travel in groups. Lions have their pride. Wolves have their pack. Orcas and dolphins have their pods. The primary goal of a predator, whether alone or in a group, is offense. They work in a coordinated effort to maximize return on their energy investment…capturing the most prey with the least amount of energy output. Nothing is safe in the animal kingdom. The food chain takes no prisoners. The hunter often becomes the hunted. The same is true in human enterprises. In the (hopefully) never ending capitalist cycle of invention, construction, destruction, re-invention, and reconstruction, the roles of predator and prey can switch on a moment’s notice. An instinctive drive for safety leads to new alliances. Predators who would never think of joining a defensive flock are drawn in by the promise of safety from some new, common enemy. Defense against the enemy becomes the rule of the day. Thoughts of maximizing return on investment, or re-inventing the future, are replaced by a focus on defending the status quo of the flock. In a uniquely human twist, the defensive flock may even take on a new mission. The defensive flock goes on offense. This flock actively seeks out the lone predators, the re-inventors. They marshal all of their creative energy toward destroying predators before their new ideas wreak havoc on the flock. Protection of the group is all that matters. The individual is less important. Which are you? Predator or prey? Loner, or flock member? Are you a former predator, now seeking the safety of a new flock? Are you defending the status quo, or throwing in with the crazies who are re-inventing the future? Are you on offense, or defense? Are you making this choice for yourself, or are you allowing the flock to make the decision for you? This entry was posted in Change, Courage, Curiosity, Innovation, Life, Perspective, Predators, Prey, Status Quo, Success, Zombies and tagged Innovation, Predators, Prey, Status Quo, success on September 22, 2013 by Bob Dailey.